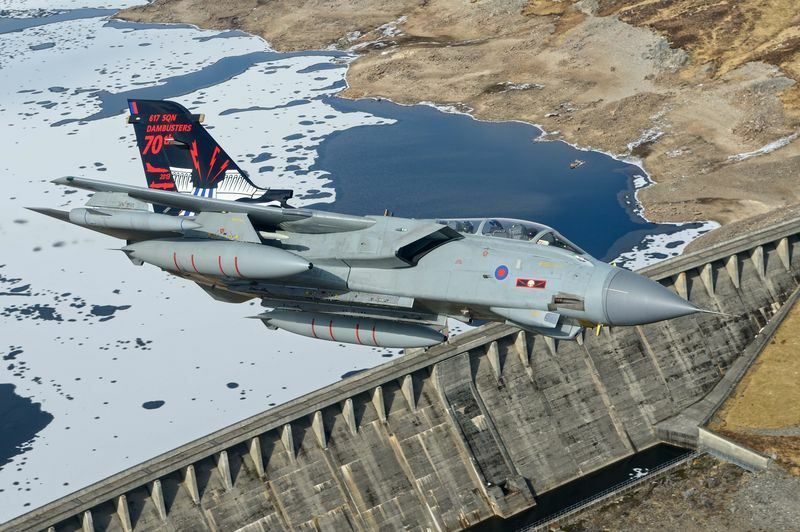 617 Squadron, famed for their daring second world war raids against the Mohne, Eder and Sorpe dams, has completed its last flight as a Tornado Squadron over the skies of Afghanistan and has returned to the UK. Their last flight was in support of coalition troops; the Tornado Force in Afghanistan undertake the very demanding and vital Close Air Support and Reconnaissance roles, providing protection and information from above directly to commanders on the ground. It will be a temporary disbandment though as the unit will reform in 2018, with both Royal Air Force and Navy personnel and it will be equipped with the F-35B Lightning joint strike fighter.